Crewkerz WAW brake clamps, made of ultra-light, strong 7075-T6 aluminium alloy. They need plastic washers for the cylinders, and they come with all 4 bolts needed for installation. 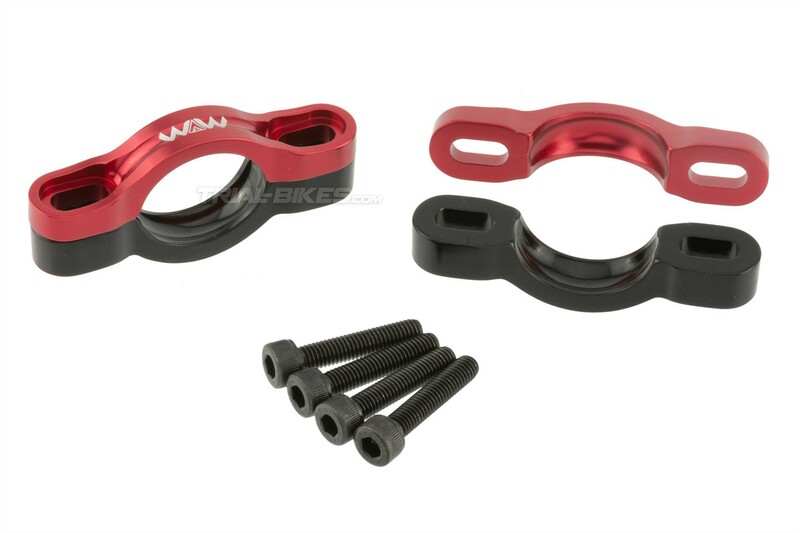 - Crewkerz WAW rim brake clamps for bike trials. - Made from ultra-light, high-strength 7075-T6 aluminium alloy. - Exclusive design by Crewkerz, with longitudinal recesses that remove any excess material. - These clamps require a plastic washer. They allow for unlimited range of adjustment for the slave cylinders, ideal to get the most accurate setup. - Supplied with all 4 necessary M5x25mm bolts, made from high-strength steel. - Sold as a pair (enough for 1 brake). - Frames with 4-bolt rim brake mounts. - Magura, Echo, Racing Line and similar brake cylinders. 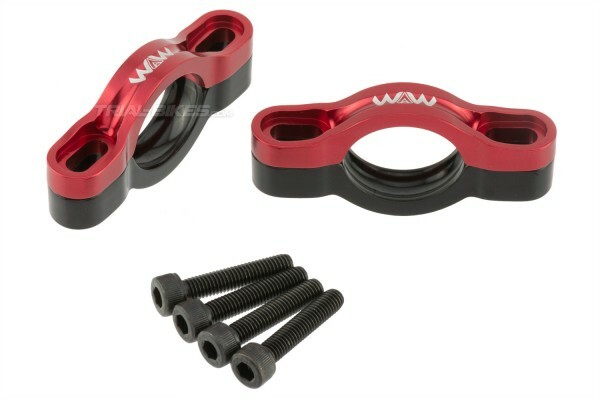 - Anodized red top clamp, with white WAW graphics. - Anodized black bottom clamp.